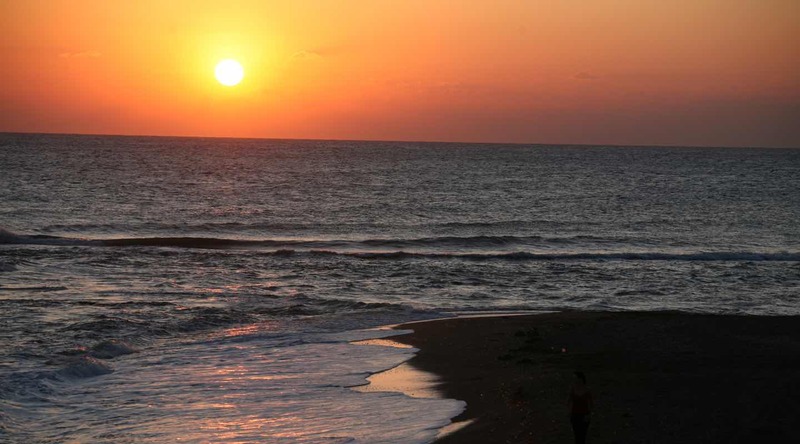 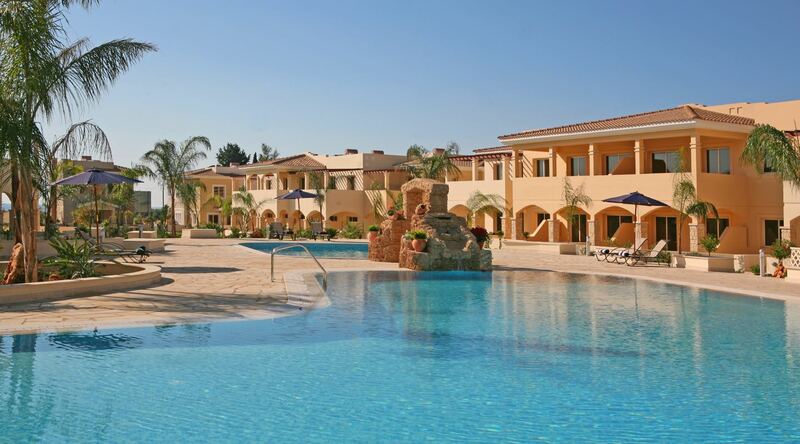 Aphrodite Sands Resort is a modern and attractive property situated in the village of Mandria. 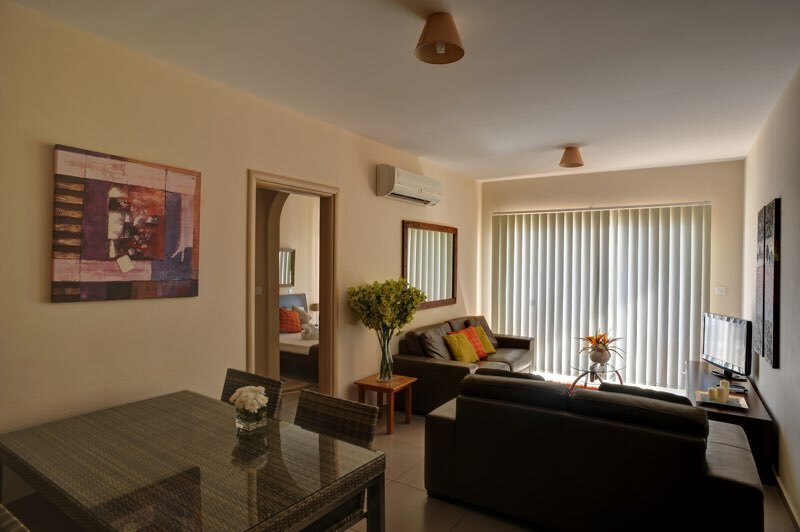 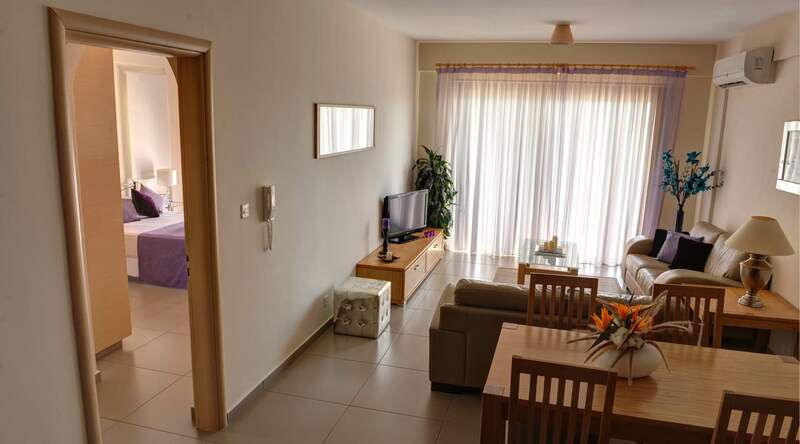 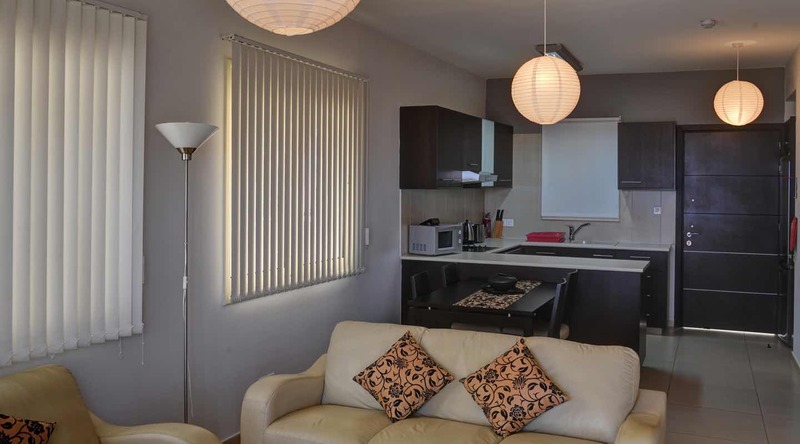 Just a short walk to the Mediterranean Sea and 10km to the centre of Paphos, makes it an ideal retreat for a relaxing holiday away from the hassle of busy town life. 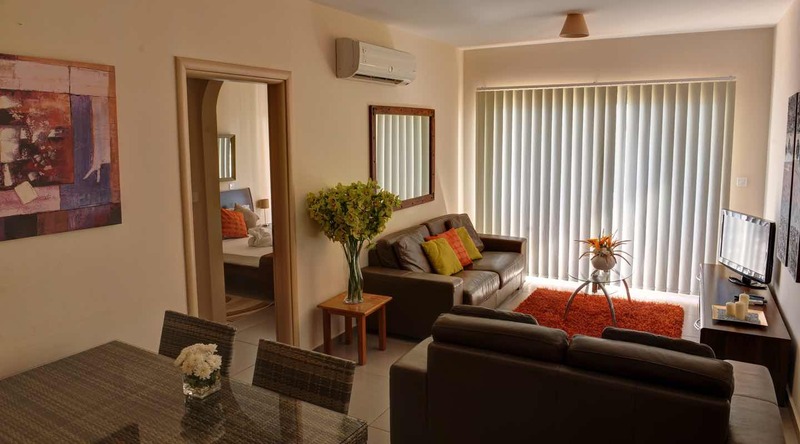 Guests are ensured a comfortable stay at the resort with elegant apartment rooms that offer plenty of space, along with private balconies and a great range of facilities available to all guests. 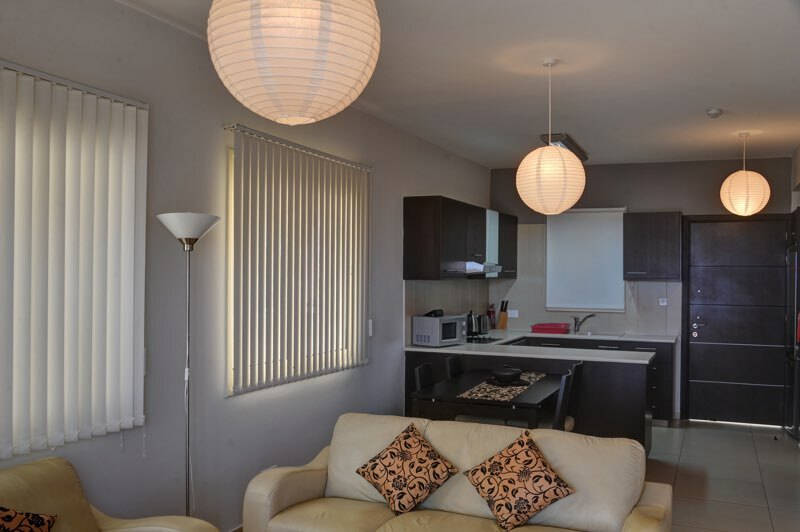 For al fresco living, relax by your private pool or on the spacious veranda, furnished with an outdoor dining table and chairs, the perfect setting to relax and enjoy the scenic views. 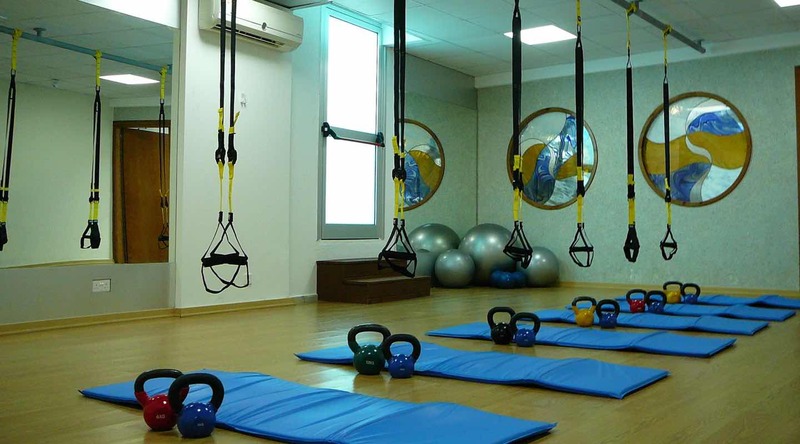 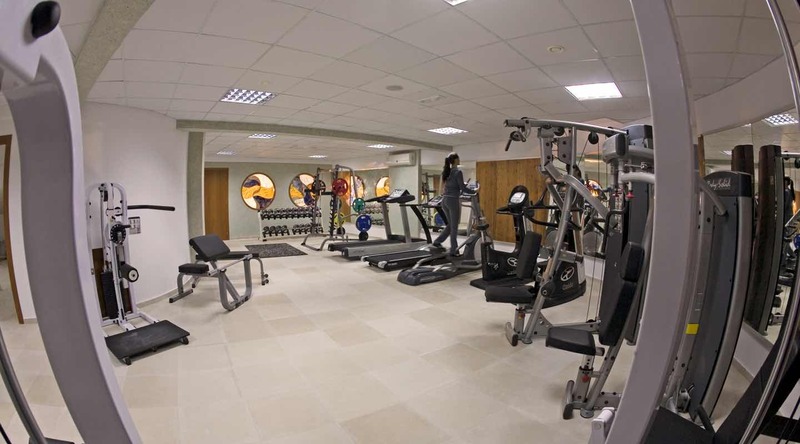 Available to visitors the Spa offers fitness room/gym with state of the art equipment, sauna and steam room, jacuzzi, studio space for classes and a selection of beauty treatments for both men and women, including a variety of massage styles, reiki, facials, body wraps and scrubs. 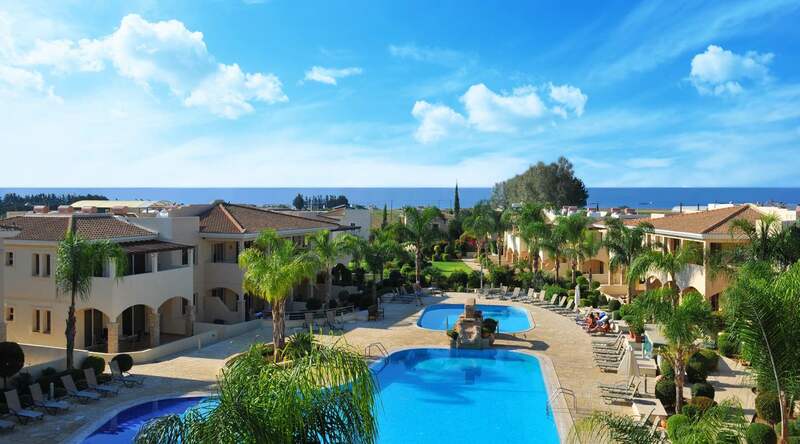 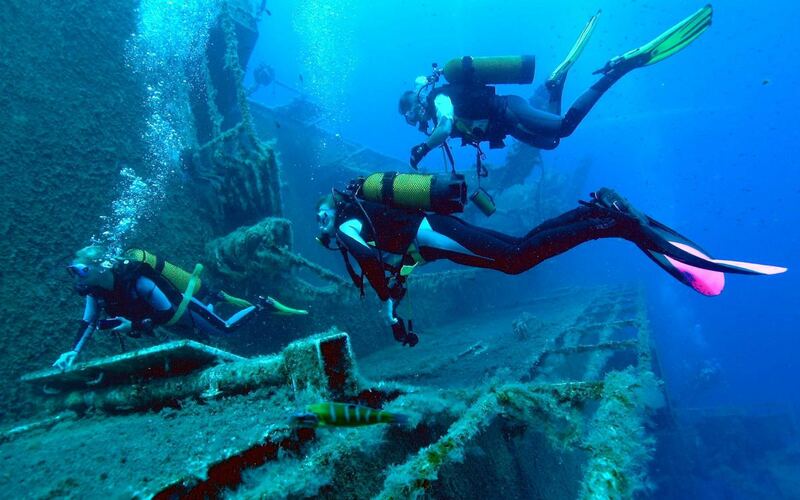 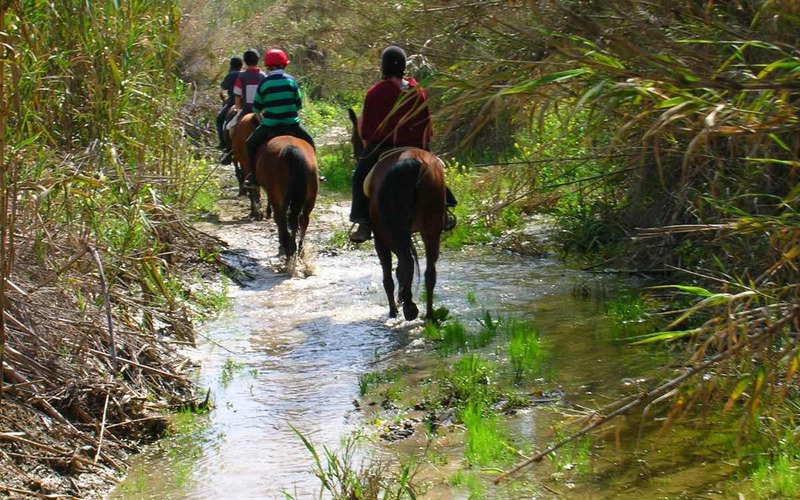 For a more commercial experience, the town of Paphos as just a short drive away where you can enjoy spending many hours exploring the local markets, shops, attractions, historical monuments and museums that the town has to offer. 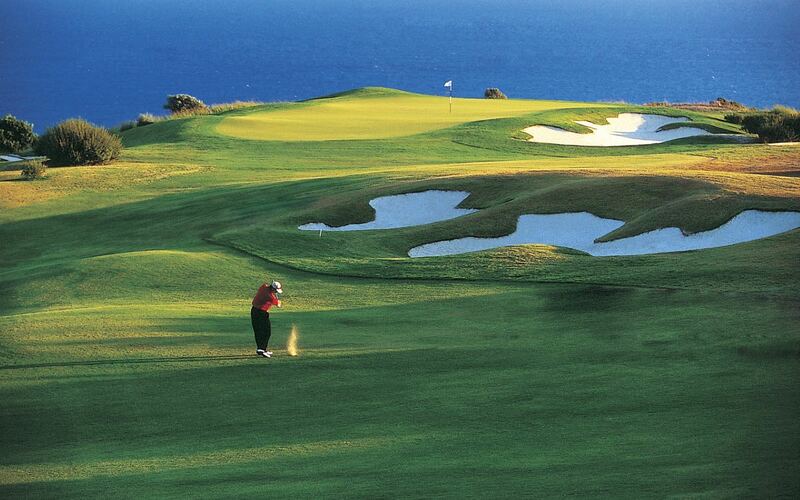 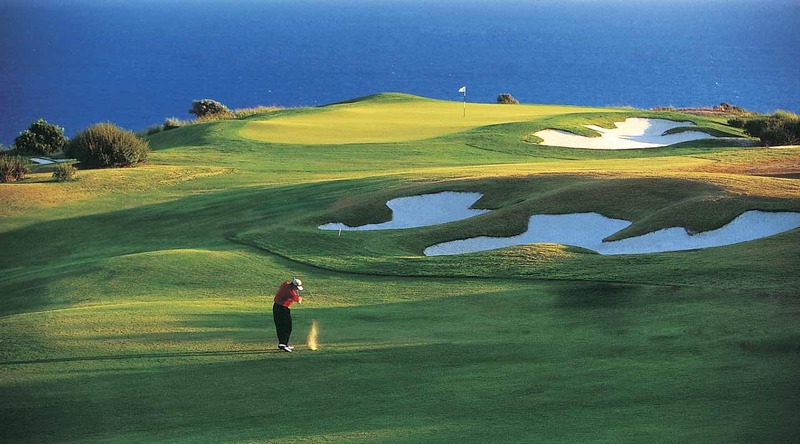 Aphrodite Sands Resort is located close to 3 of the best golf courses in Cyprus, just a 3km drive away; contact the onsite staff for golf discounts exclusively available to our guests. 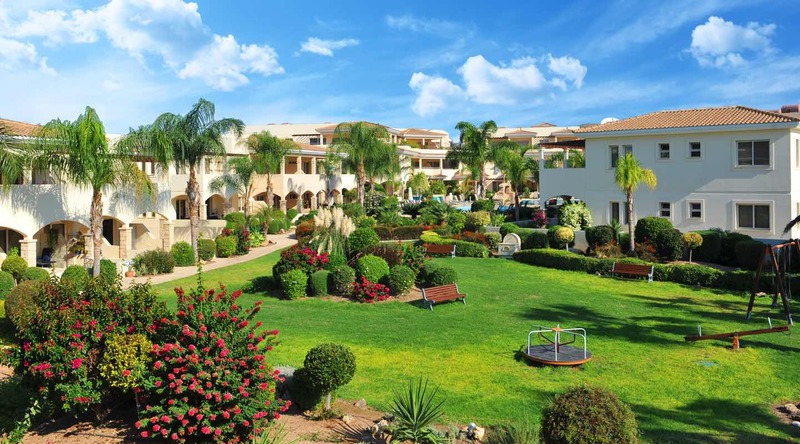 Aphrodite Sands Resort affiliated to premier specialist wedding companies offering an extensive range of package and tailor-made wedding services and can organise every aspect of getting married abroad. 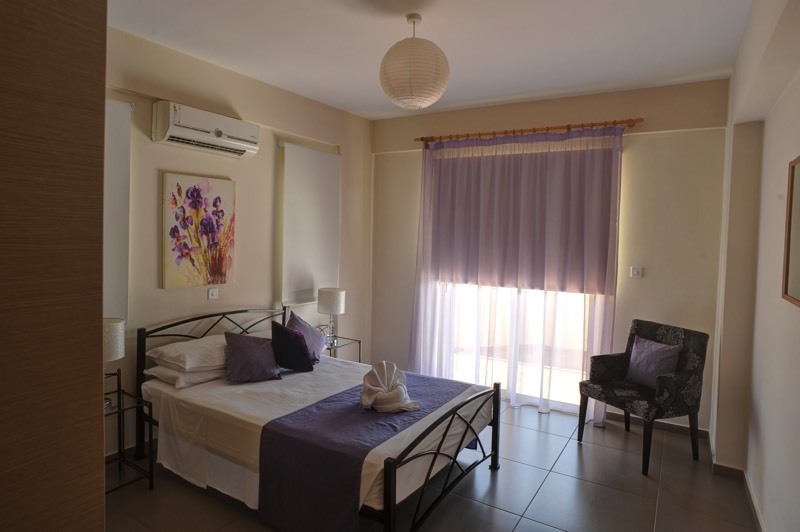 Relax and enjoy the freedom of self catering facilities or take a short walk into the quaint village of Mandria and sample the restaurants and taverns providing you with delicious local and international cuisine.